Includes: Motorcoach Transportation & Admission the the Festival. An annual favorite for all ages, the Boston Christmas Festival is a blockbuster event for a day trip to Boston. With 350 exhibitors, this award-winning show is the largest arts and crafts festival in New England, and features handcrafted gifts, holiday decorations, jewelry, clothing, pottery, folk art, delicious foods to buy and sample, and so much more! Enjoy sampling the delicious products found in the Farmer’s Market Aisle. Purchases are made directly from the artisans so prices are reasonable and suit everybody’s budget. 10:30am – Arrival to Boston Christmas Festival at Seaport World Trade Ctr. Enjoy the day on your own! 4:00pm – Depart Boston Christmas Festival for home! In 1890s New York City, the bold and enchanting widow Dolly Levi (Betty Buckley) is a socialite-turned-matchmaker. Her latest clients seeking assistance are the cantankerous “half-a-millionaire” Horace Vandergelder and a young artist named Ambrose, who is in love with Horace’s niece, Ermengarde. Dolly’s scheming soon involves Horace’s employees as well as a New York hatmaker, as she tries to cover up her own secret romantic designs. 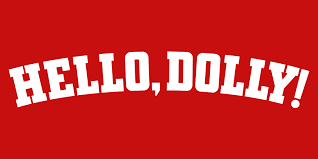 6:30pm “HELLO, DOLLY!” SHOW IS 2 HRS 40 MINUTES WITH 1 INTERMISSION. Relax and arrive in style to Faneuil Hall Marketplace, where Boston shopping is at its best with more than 100 of the finest shops and specialty pushcarts. Locally-owned treasures, nationally recognized retailers, and the Bullmarket…the world’s first “fleet” of wholly unique pushcarts featuring New England artisans and their fabulous wares. Enjoy the day! Shop, Dine, Explore! An annual favorite for all ages, the 32nd annual Boston Christmas Festival, with its popular Gingerbread House Competition, is a blockbuster event for a day trip to Boston. With 350 exhibitors, this award-winning show is the largest arts and crafts festival in New England, and features handcrafted gifts, holiday decorations, jewelry, clothing, pottery, folk art, delicious foods to buy and sample, and so much more! Purchases are made directly from the artisans so prices are reasonable and suit everybody’s budget The Christmas Festival makes preparing for the holidays a breeze, with gifts for everyone and all the elements for stylish entertaining. We Have Trip Insurance! TRAVELEX!